About 3-4,000 Russian citizens joined anti-government fighters during Kiev crackdown in Ukraine’s east, says the leader of Donetsk independent republic, noting that self-defense fighters have never concealed this fact. "They [Russian volunteers] are among us, people of Donbass [Region, eastern Ukraine] because we are blood brothers,” said the Chairman of the Council of Ministers of the Donetsk People’s Republic, Aleksandr Zakharchenko, in an interview to Russian media. “There is no secret that among the volunteers from Russia there are many military men. They are fighting together with us because they understand that it’s their duty,” he added. 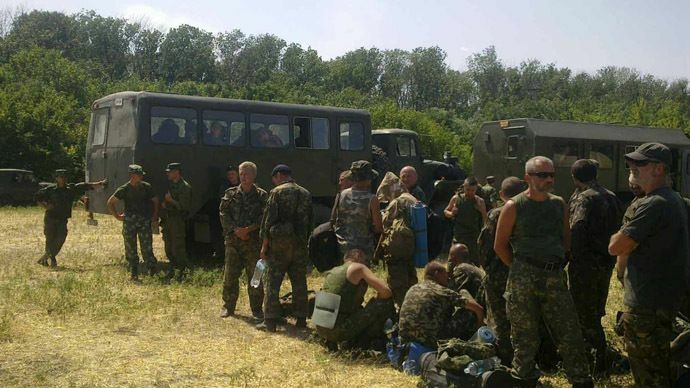 According to the Donetsk PM, some of the volunteers returned home to Russia, others stayed in eastern Ukraine. 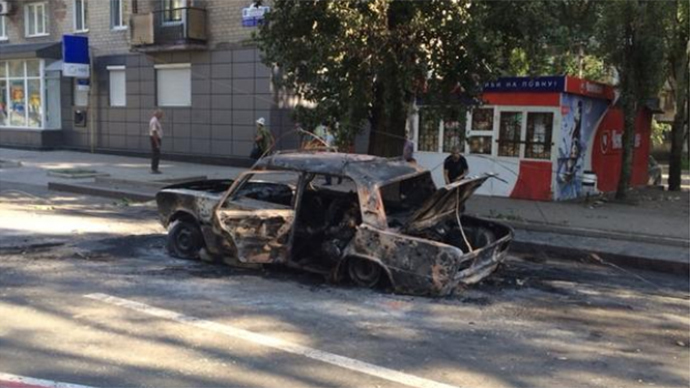 “Unfortunately, some of [the Russian volunteers] were killed,” said Zakharchenko. He explained why he thinks Russian volunteers are joining self-defense forces in eastern Ukraine. 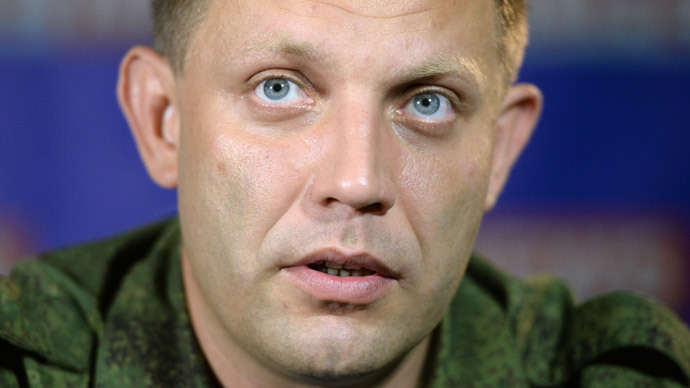 Zakharchenko said that Kiev authorities and Western countries are repeatedly talking about a Russian ‘military invasion’ to justify the mass defeats of the Ukrainian army in the country’s east. Kiev is using the tactics of “scorched earth” during its military campaign in the south-east of Ukraine, Aleksandr Zakharchenko told RIA Novosti. “They hit the densely populated areas; destroy, first of all, the facilities of water, electricity and gas supply, social infrastructure; they try to spread fear and panic. 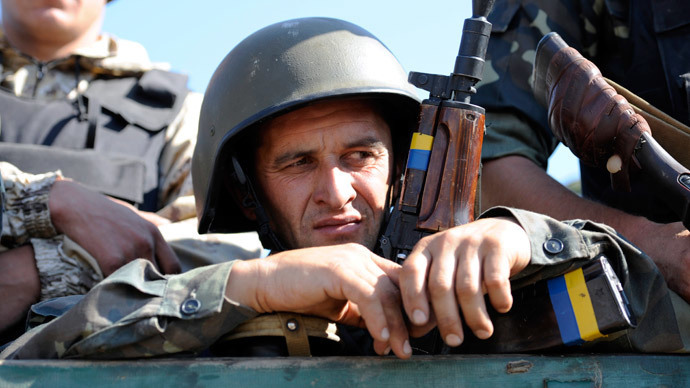 But they don’t succeed,” Zakharchenko said. “We’ve been gathering strength for a long time. We held on and prepared a return blow. We’ve delivered it and we’ll continue an active struggle for the liberation of the Donetsk and Lugansk Regions from the occupants,” he added. The standoff with the government forces isn’t just about warfare for the self-defense forces, but a humanitarian operation as well, the leader of the self-proclaimed Donetsk People’s Republic stressed. “One of our main goals is to push the enemy away from the big cities, denying him the opportunity to shell from all existing weapons the densely populated neighborhoods of large cities where there are hundreds of thousands of people – women, the elderly, children – reside,” he explained. They don’t understand any other approach because it doesn’t matter to them, whom to kill in the east, Zakharchenk stressed. “But we will explain it to them in a way that they’ll understand,” he concluded. Since Kiev launched its ‘anti-terrorist’ operation against eastern Ukrainian regions in April, Ukraine has faced a violent internal conflict and humanitarian catastrophe. United Nations data released Tuesday, over 2,249 people have so far been killed and over 6,033 wounded in the fighting in eastern Ukraine. The number of internally-displaced Ukrainians has reached 190,000, with another 207,000 finding refuge in Russia, the UN said.